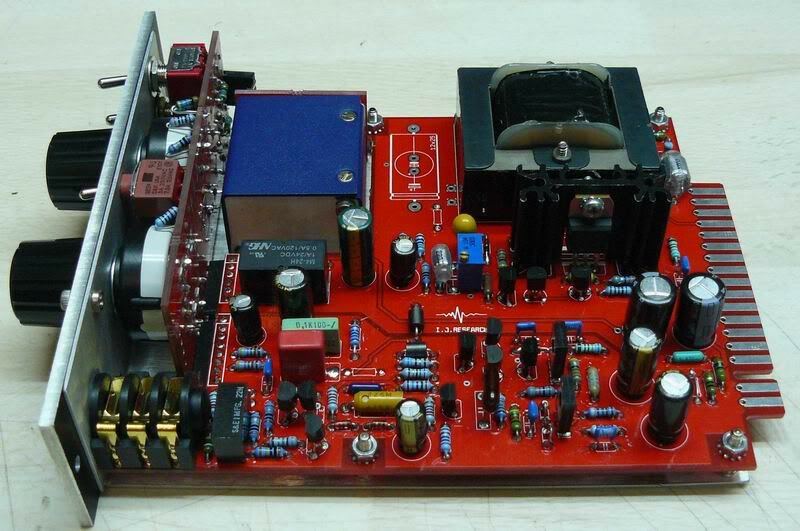 The “Albatross” is a new preamp design from Igor Kapelevich for the 51x Alliance format. The preamp was designed with the goal of using simple, discrete amplifiers to achieve the lowest noise and maximum headroom possible while allowing for nice harmonic distortion when pushed hard. It is also intended to be a DIY’ers playground, with four options for input transformers. 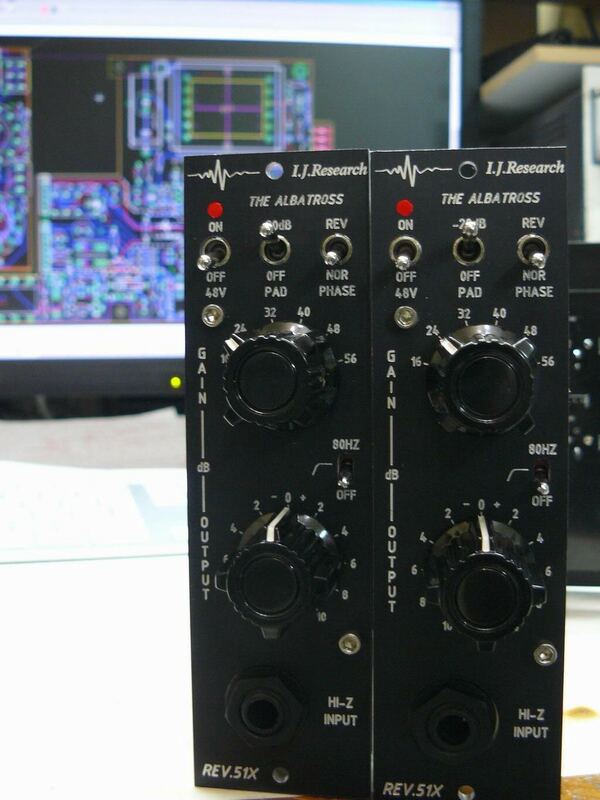 This, plus the ability to switch between transformerless class-A and Neve-style transformer output stages, makes the Albatross the ultimate all-purpose preamp. 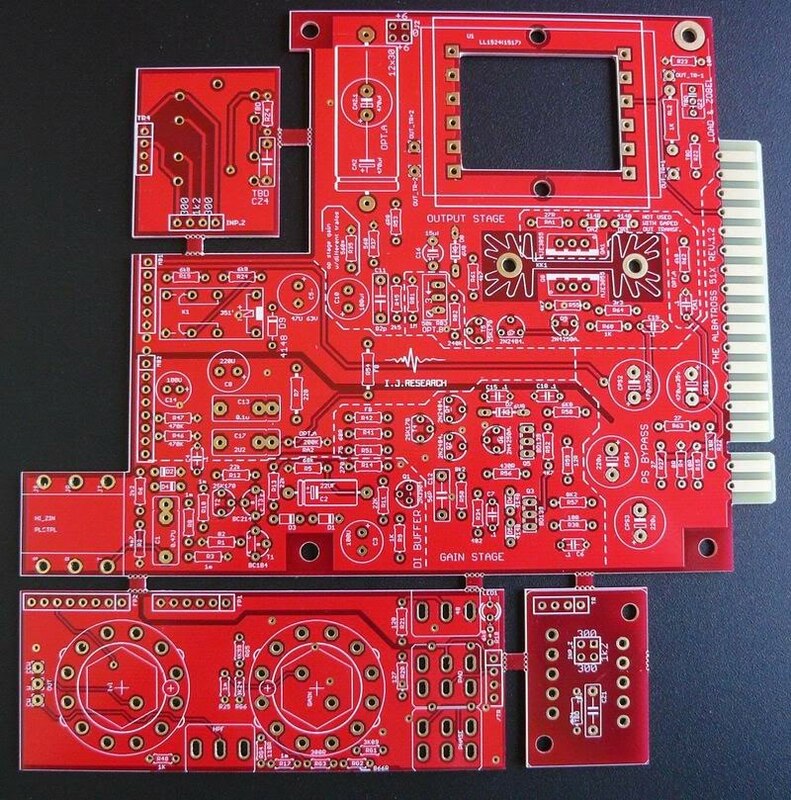 Price: $190 for PCBs, metalwork, and hard-to-find parts kit. 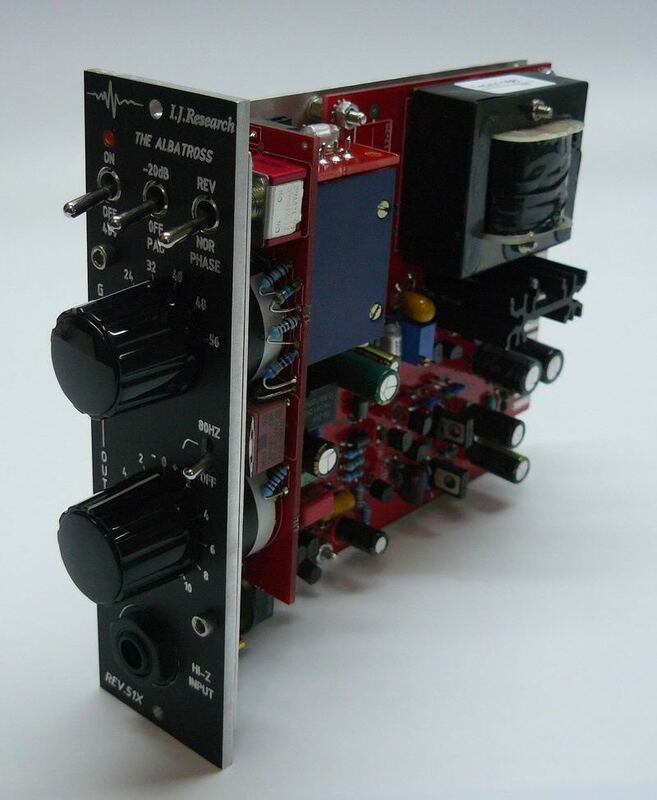 Adjusted Cost: Depending on the transformers used, parts to complete an Albatross could cost between $85 and $130 dollars, making total cost for one preamp $275 at the least. Added by Peterson Goodwyn on August 18, 2011 and last modified by Peterson Goodwyn on December 5, 2011.